Here at North London Toyota, we appreciate every single of our clients and love making their day a little brighter every chance we can. We love surprising them with free stuff! Check out some of our recent winners below! Everyone that attended our Second Delivery clinic on July 11, 2018, were entered into a draw to receive a Silver Detail Package. Thank you to everyone that attended last night, the winner of our draw was Ana Gonzalez! Congratulations Ana on winning our Silver detail package! 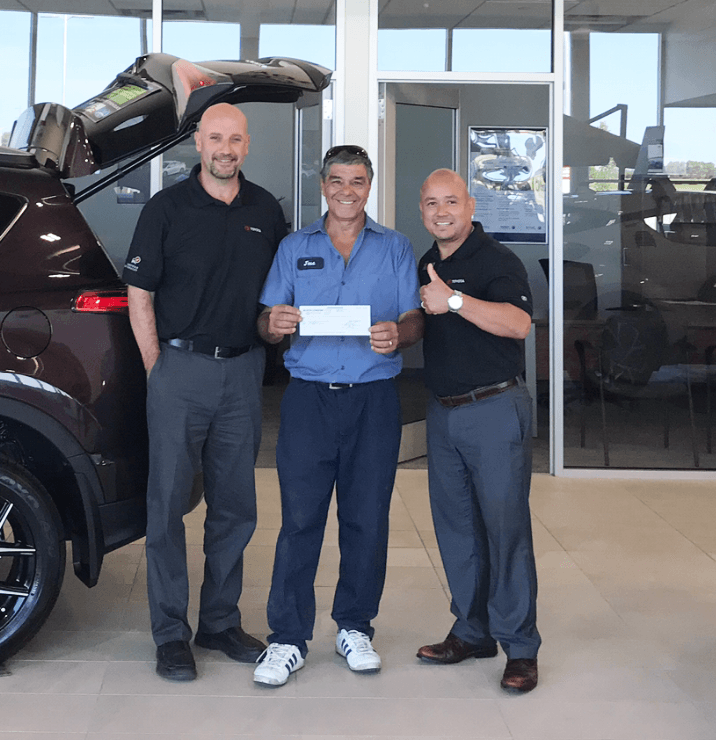 All of our clients that purchased a new or pre-owned vehicle from North London Toyota during our June 2 week Grand Opening Event were automatically entered to win our grand prize of $5,000 CASH! Stephen Roach did the draw where he randomly selected Jose as our winner! Jose purchased a pre-owned 2013 Toyota Camry from Bayardo Estrada and was randomly selected as our winner! Congratulations Jose, we hope you enjoy the extra cash! 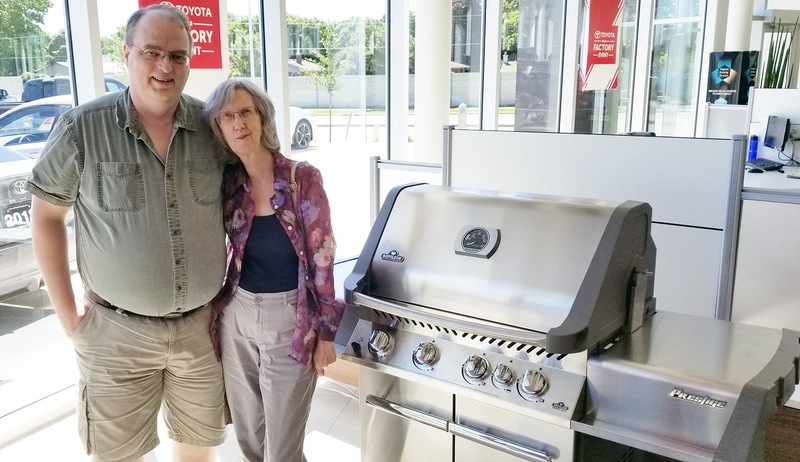 This was our first test drive to win as North London Toyota, we gave away a gorgeous Napoleon Prestige propane gas grill for the summer. Congratulations to Doug and his wife for being randomly selected as our winner! Check out the video below to see Stephen Roach, one of our Sales Managers, announce the winner. Doug and his wife picked a perfect sunny day to come pick up their BBQ!